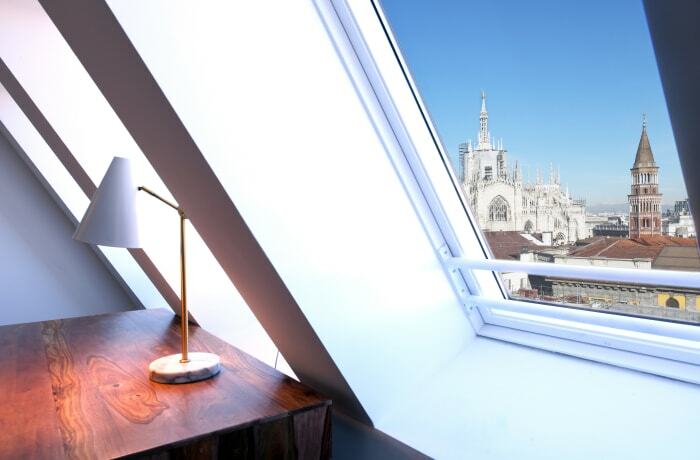 In the heart of Milan’s upbeat Duomo neighborhood, the Duomo View III offers a comfortably casual vacation apartment. Known for its grand architecture, upscale shopping, chic cafes, and famous landmarks, this central neighborhood harbors locals and welcomes tourists. 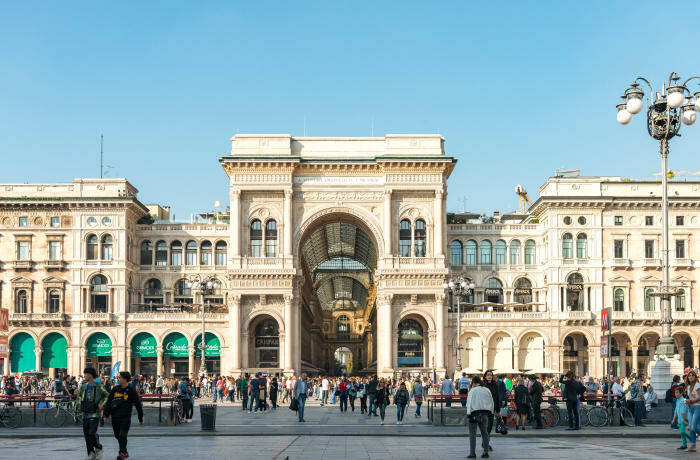 Stroll to the magnificent Duomo Cathedral (4 min), or to the historic Galleria Vittorio Emanuele, (5 min) to enjoy the boutique cafes and shopping. 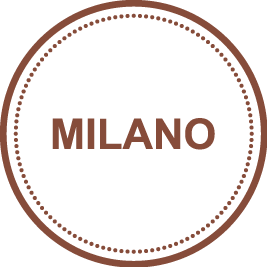 Explore Milan’s largest park, Parco Sempione, which boasts the historical museums of Sforzesco Castle (17 min). The Duomo metro and light rail stations are easily accessible by foot (5 min). 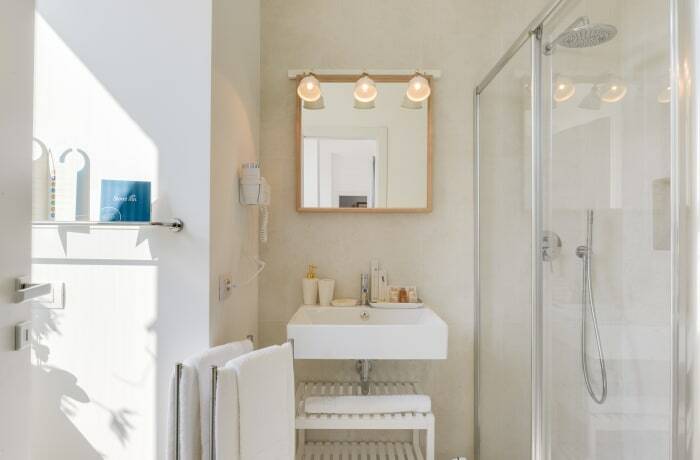 Refurbished by our talented interior designer, this sunlit apartment is a cozy urban haven. 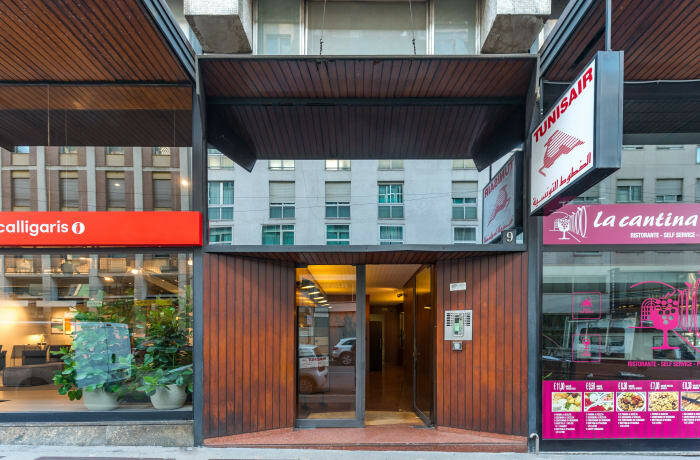 With 2 plush king-size beds, 2 ensuite bathrooms, and a fully-equipped kitchenette, the flat offers all the comforts of home. 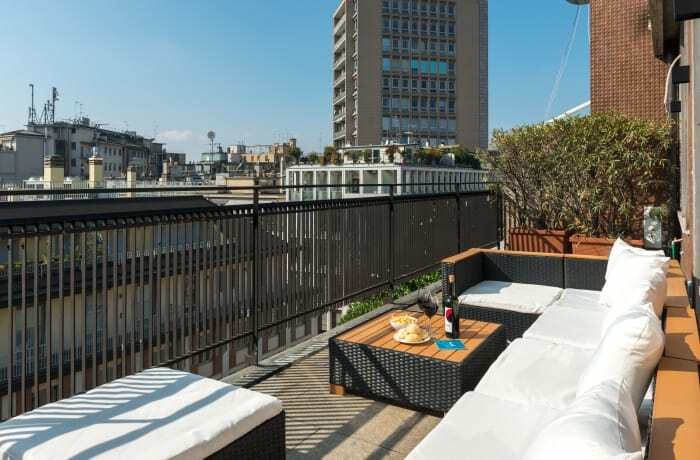 A furnished terrace adds to the charm,  inviting guests to relax with a glass of wine. Premium amenities include free WiFi, cable TV, hotel beds and linens, luxury toiletries, and a Nespresso machine. A double sofa-bed accommodates extra guests, making this apartment a wonderful choice for a group of friends or a family. *There is an elevator until the seventh floor.